The Odin Mk3 is a completely redesigned version of the very popular Odin kit, utilizing the latest drive unit technologies from the Excel product line. This kit uses two W18E001woofers and a single T25CF002 "MILLENNIUM" tweeter mounted in a D'Appolito configuration. 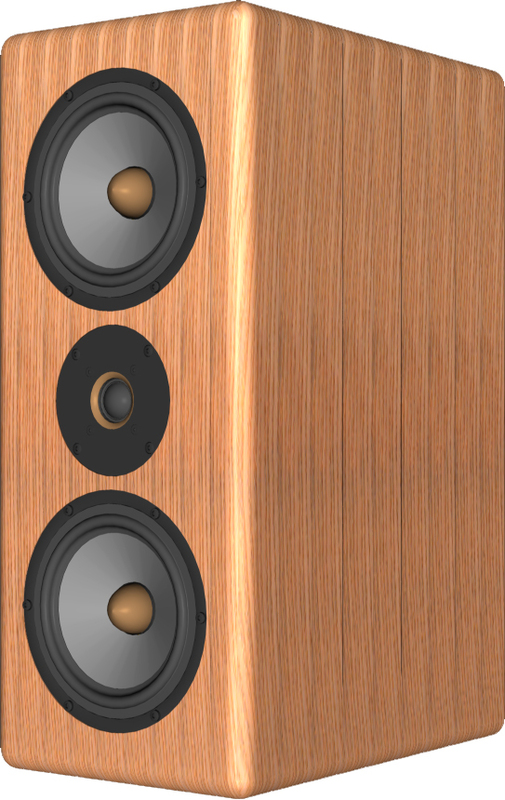 The cabinet is a bass reflex design with the vent placed in the rear. This directs any potential vent noises away from the listener, and allows for minimum baffle area in the front. The pvc port tube is supported by an internal baffle which helps maintain equal air flow on each end of the tube, and also serves as additional cabinet bracing. The port tuning frequency is 31Hz. The crossover network is conventional except for a parallel circuit which supresses the response peak due to the magnesium cone. The crossover frequency is 2.5kHz. The Odin Mk3 was designed by Dr. Joseph D'Appolito, and was developed as a companion kit to the Thor transmission line system. "The vented box is tuned about 15% lower than the ubiquitous QB3 alignment to yield a better damped bass response. Several hundred hours of laboratory testing and listening have gone into this system. You literally can't tell where the woofers leave off and the tweeter begins."